How works the compass ? 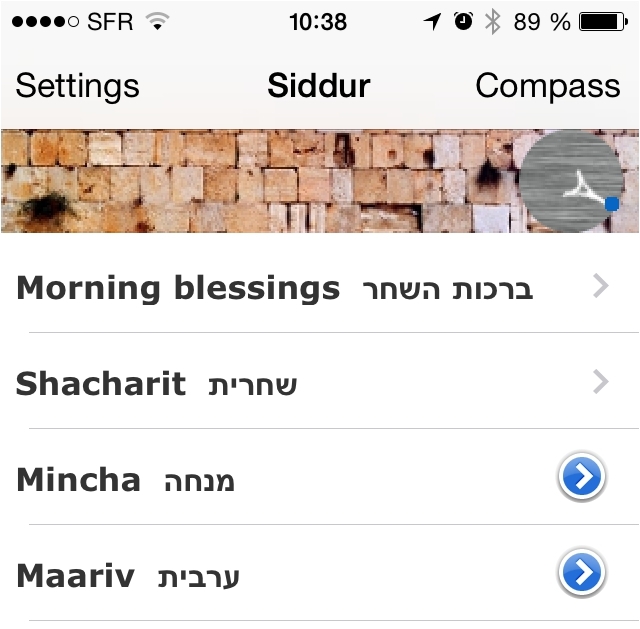 The compass is on the 'Siddur' is activated by clicking on the compass (it turns off in recliquant above). It has a special feature, because it also relies on the GPS position of the user. 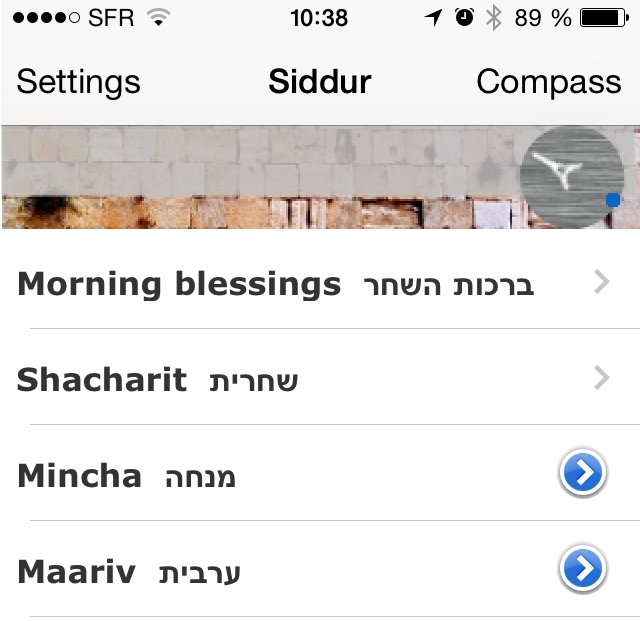 So soon its activation, it instantly determines the position of the Kotel (blue dot) on the basis of where one is located. From New York, for example, the point will be placed at '4 hours'. 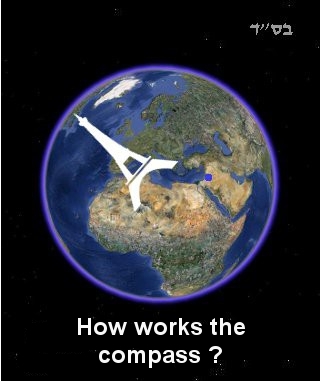 Then, simply turn your iPhone horizontally to align the top of the Eiffel Tower and the blue dot. 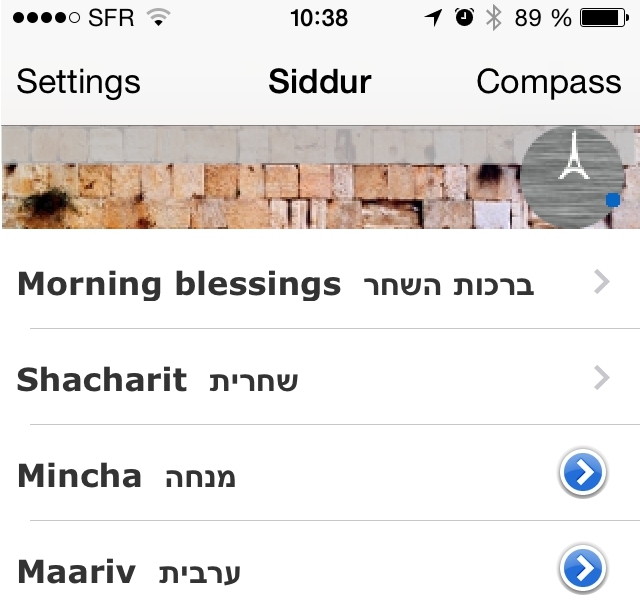 To find your way, the image of the Kotel appears as you converge towards the right direction.